Gaia Sagrada's gardens are grown with love! Sustainable farming and permaculture are becoming more and more important as time goes on and human reality becomes less sustainable in the way things are run right now. Farming has become a huge corporate business, where sustainable farming and permaculture are not even a thought in the corporate plan. Less small farms are able to remain in the business with the big corporate takeover of food production that is happening. Many people are coming together in an effort to educate people about sustainable farming and permaculture and many are creating their own gardens and food sources. In this day, it is the only way to ensure that your food is really organic, since the definitions of organic are changing as the corporations lobby the governments to adjust laws to include their "non-organic" practices as organic. 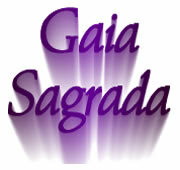 Gaia Sagrada uses no chemical pesticides or herbicides in any form whatsoever. All food is grown in harmony with the Earth, using specific combinations of planting to reduce insect invasion. It is easier to grow organic than some might think, and the things that are planted here grow huge! 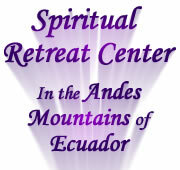 It is absolutely amazing what we have seen in the gardens in Ecuador. Never have we seen such large produce! A cabbage gets bigger than a basketball sometimes. A child couldn't even hold one up! And don't forget the love, we say! All plants respond to love and we treat our garden as part of the family. Planting and growing is done with focus and intention. Harvesting is done with gratitude and respect. Gaia's Sagrada's gardens are grown with love. If you are a person who knows about permaculture, we would love to have you come on board! We are in the very beginning stages. Organic food here is truly organic! 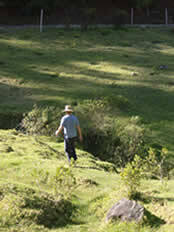 Ecuador has no pollution in the country, not even chemtrails.